Protagonist Shu along with his childhood friends Kluke, and Jiro fight alongside other comrades to defeat the diabolical mastermind terrorizing the world with a robot army, and the power of Shadows after they gain Shadows of their own! But late in the game they learn that their very planet is a machine created by the ancients! Chrono Cross has many incredible plot twists, and some are brilliantly incorporated into the game play itself! The first involves the main character serge, and the antagonist Lynx in which Lynx swaps bodies with the hero, and you are forced to play as the antagonist for a sizable part of the game! The second twist comes when you find out that Lynx was actually trying to prevent the worlds destruction by setting a series of events to prevent Lavos's reawakening! The third, and most controversial twist comes when you learn that all the heroes from Chrono Trigger perished at the hand of Lynx, which made many fans very upset with Squaresoft. 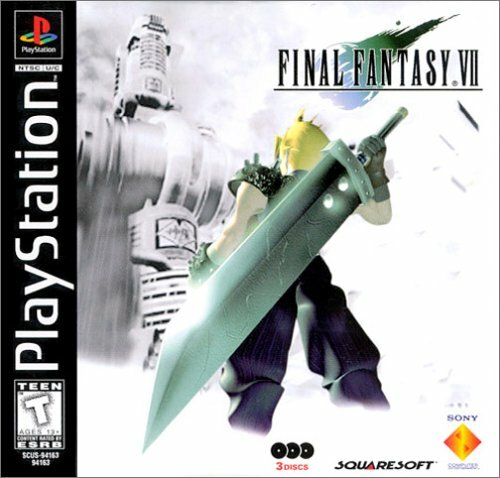 The first 3D Final Fantasy was loved by most fans, and critics for its emotional story, breathtaking graphics "at the time" and the villain Sephiroth! The greatest and most unusual moments both happen near the mid point of the game. The first involves the death of one of the main characters Aeris by Sephiroth running her through with his katana! The second, and very unexpected plot twist is where Cloud learns that he was actually a failed clone of Sephiroth... but it turns out Sephiroth and JENOVA were giving him false memories! this was confirmed when Tifa went through Cloud's head to reveal his true past! In this game you take the role of Fayt Leingod a young man that gets thrown into an intergalactic battle to save the universe, but there are several plot twists along the way! During a battle on the underdeveloped planet Elicoor Vendeni battleships enter the planet's atmosphere and open fire on the defenseless soldiers, and when Fayt realizes that they're after him he unleashes an incredible power that destroys one of the Vendeni battleships! Plot twist #2 This is arguably the most ingenuous plot twist ever created in gaming history! While in a demesion known as 4D space the group learns a shocking truth, that their entire universe, and everyone in it was created as a sort of video game by the 4D Beings! That's a wrap, be sure to checkout part 3 in mid-late April for #2 Xenoblade plot twists which can't be posted yet due to pre-release rules against media sources spoiling critical information in soon to be released games. Where's number 2? Oh and I added pictures to your stellar feature Rukia. Oops darnit I forgot please edit my post, and add your post in. Rukiafan wrote: Oops darnit I forgot please edit my post, and add your post in. Done ! I've also deleted the post where I point it out ! And once again, thank you for participating in the WiiWareWave Features page ! Please tell me Earthbound will be included in this feature. Another good feature, but now the suspense of having a two part series has been delayed further by the lack of Xenoblade. Will have to play that when it comes out to avoid spoilers. Good to see Xenoblade has plot twists, I was concerned about the story, but now I have less worry!